Lately, I've been on a serious minimalist kick. I purged my entire house and now I'm moving on to purging my backpack, starting with my wallet. I think my wallet alone weighs a pound. I have every card imaginable in there, as well as a ton of change, bits of paper, all sorts of stuff. It has some great features, but it doesn't fit nicely into most of my purses, and hence, I think it's time for a change. Spring cleaning, right? 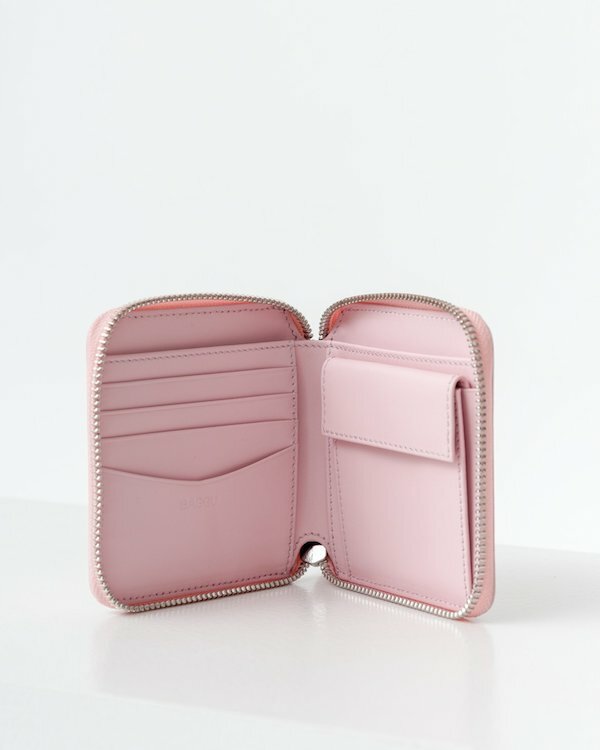 Enter the Square Wallet from Baggu for $100. It comes in a bunch of colors, and I can't decide which one I like the best, but this pink version is pretty sweet. This is bare bones basic, but well worth it if you want to keep things simple.